Description: Specialized in diabetic treatment,Gaikwad Diabetes Center has other medical services extended to the Diabetes Mellitus including related medicinal, consulting or surgical needs. HIV/AIDS, diabetic retinopathy, Glaucoma, fundus test and laser treatment are provided to diabetic patients under eye-care. Biothesiometry and footwear clinic is also there as additional services for diabetic patients to avail. For the patients who are detected with diabetes, lectures on diets and customized diet charts are also provided. There are several cashless facilities provided to the diabetic patients, due to several community service collaborations. 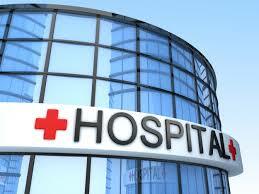 Mediassist, Health India TPA, SafeWay, Tata Motors and CGHS are few titles to name under this initiative. The centre has advanced radiology department with high-resolution ultrasound machines having colour doppler feature. They also have latest technology to produce digital x-rays with high film clarity. In addition to all these, they also provide stress management activities for the diabetes patients. Also, there is an independent group to take care of juvenile diabetes-related cases. With an experienced staff and established infrastructural support, this diabetes centre has its own pharmacy and ambulance services which are functional 24 hours. 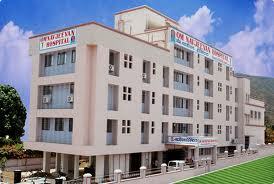 It also has a full-fledged OT for its patients with all modern equipments. Addres: Ananda Heights, Pune-Nashik Road, Bhosari, Pune-411039. Maharashtra. India.